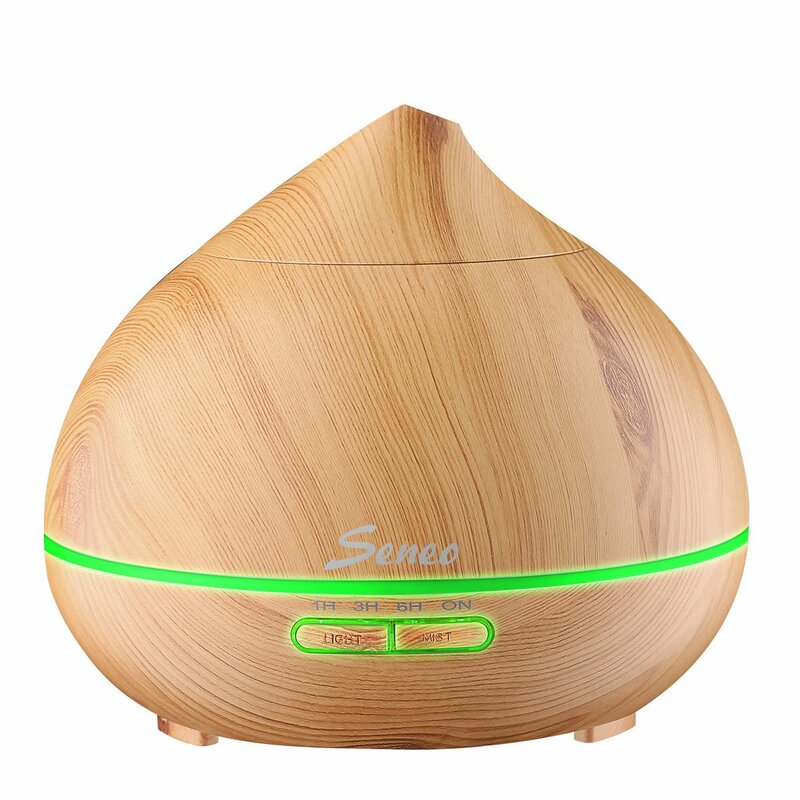 [UNIQUE WOOD GRAIN APPERAANCE]: The exterior of this essential oil diffuser is stylish plastic wood-grain cover. Its incredible appearance looks more primitive and natural and it will go with any decor. [LARGE CAPACITY AND GREAT MIST OUTPUT]: This aromatherapy essential oil diffuser can hold up to 300ml of water and produce up to 30ml of moisture per hour. It can run up to 10 hours of continuous output, which can humidify and apostatize your space at the same time. [4 Time Setting Modes]: Press “MIST” button to set spraying duration( 1H, 3H, 6H or On continuous spraying). Long press “MIST” button to switch between heavy mist and light mist. [7 COLORS LED LIGHT]: LED light comes in choices of 7 colors to select; Each color is adjustable between bright and dim. [WHISPER QUIET & AUTO SHUT-OFF]: The diffuser humidifier is quiet at a noise level of less than 35dB for relaxing and sleeping, so the kids will sleep soundly all night. It will shut off automatically when it runs out of water for safety insurance.